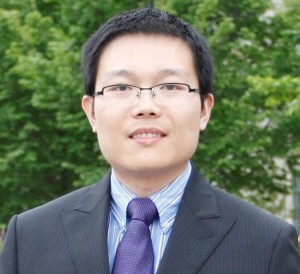 Dr. Ying Li joined the University of Connecticut in 2015 as an Assistant Professor in the Department of Mechanical Engineering. He received his Ph.D. in 2015 from Northwestern University, focusing on the multiscale modeling of soft matter and related biomedical applications. His current research interests are: multiscale modeling, computational material design, mechanics and physics of soft matter, design of mechanical metamaterials and targeted drug delivery. Dr. Li’s achievements in research have been widely recognized by fellowships and awards including Best Paper award from ASME Global Congress on NanoEngineering for Medicine and Biology (2015), International Institute for Nanotechnology Outstanding Researcher Award (2014), Chinese Government Award for Outstanding Students Abroad (2012) and Ryan Fellowship (2011).